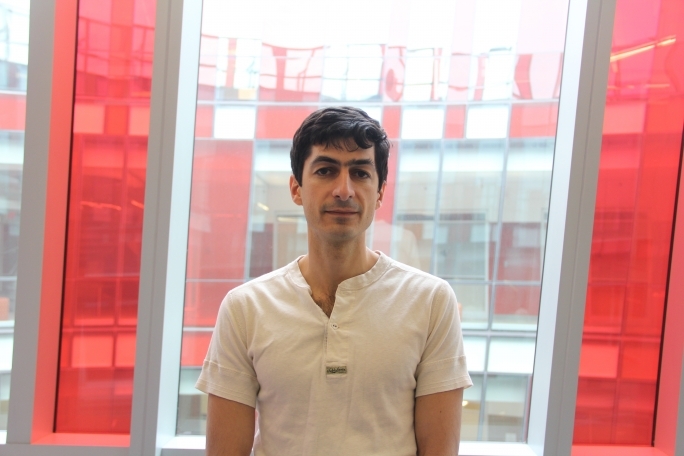 Manucharyan plans to use the award to implement superconducting semiconductors, novel devices that could become the building blocks of topological quantum computers. If the project is successful, DARPA will provide continuing support. Superconductivity arises when certain materials—usually at very low temperatures—lose all of their electric resistivity. This phenomenon occurs because electrons pair up to freely flow within the material due to an attractive interaction between them. Usually, semiconductors—substances that partially conduct electricity—don’t exhibit superconductivity, because their electrons are not close enough to each other to pair up. However, semiconductors are beneficial in other ways, and one of their biggest advantages is the ability to externally control their resistivity with an electric field. Manucharyan plans to create multi-terminal Josephson junctions, a novel device which incorporates the features of both superconductors and semiconductors. “It's a device where a central part consists of a small semiconducting region and more than two superconducting leads are connected to it,” he explains. Theory predicts that the nearby superconducting leads should induce superconductivity in the semiconducting region. Such devices could serve as superconducting transistors with reduced power loss and less heat dissipation, a major advance for the semiconductor chip technology. The multi-terminal Josephson junctions could also be used to study topological effects in exotic materials and to even model physics in more than three dimensions. Because of its topological properties, the novel device could form the basic units of topological quantum computers, paving the way towards a practical quantum computer.